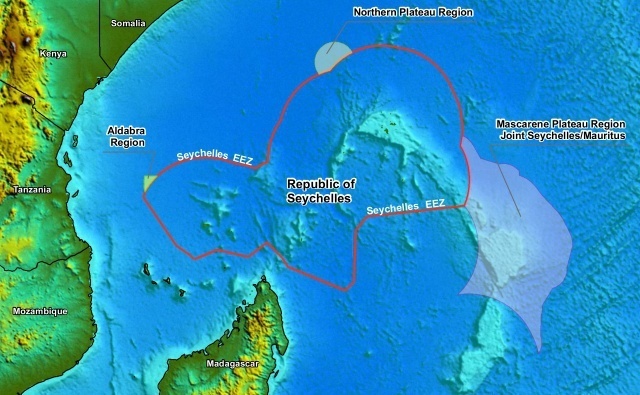 (Seychelles News Agency) - A U.N. body’s ruling has extended Seychelles’ territorial waters by nearly 15,000 square kilometres, meaning the island nation has even wider waters in which it can explore for oil, Vice President Vincent Meriton said. The new territory is 14,840 square kilometres, about 92 times the size of Mahe, the main island. It consists of seabed and subsoil that can be explored. PetroSeychelles is the national oil company set up in 1984 to strengthen Seychelles' capabilities to deal with exploration and other activities related to the development of the petroleum potential of the island state. Vice President Meriton said that the government is using all the legal international platforms to see what Seychelles can get within the new area which will benefit the island nation. “There is now the possibility to work towards getting more data with our international partners and then invite people who are interested to see what can potentially be exploited in the area, of course on a sustainable basis, to ensure that anything we find can be used for the economic and social development of our country,” added Meriton. Seychelles, an archipelago in the western Indian Ocean, received official confirmation of the extension on August 31 through its permanent mission to the United Nations in New York. The island nation made its request to claim the area which was in international waters in May 2009 after it ratified the United Nations Convention on the Law of the Sea. A technical team made up of local and international partners negotiated for the extension. Meanwhile, Seychelles is also in the process of claiming an area around the remote island of Aldabra and together with Mauritius is jointly managing the Mascarene Plateau -- a large shallow area ranging from 8 to 150 metres in depth in the Indian Ocean.